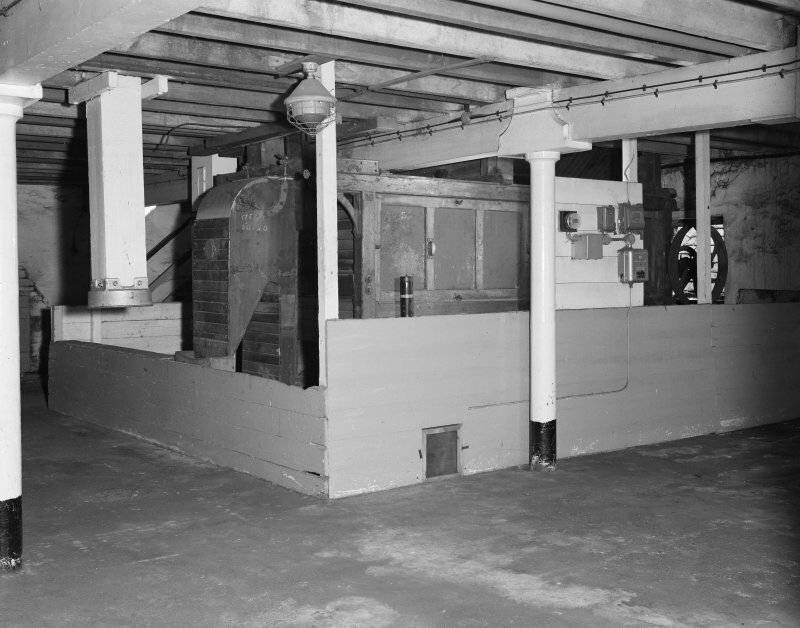 St Magdalene's Distillery, interior. General view of the first floor of the maltings. 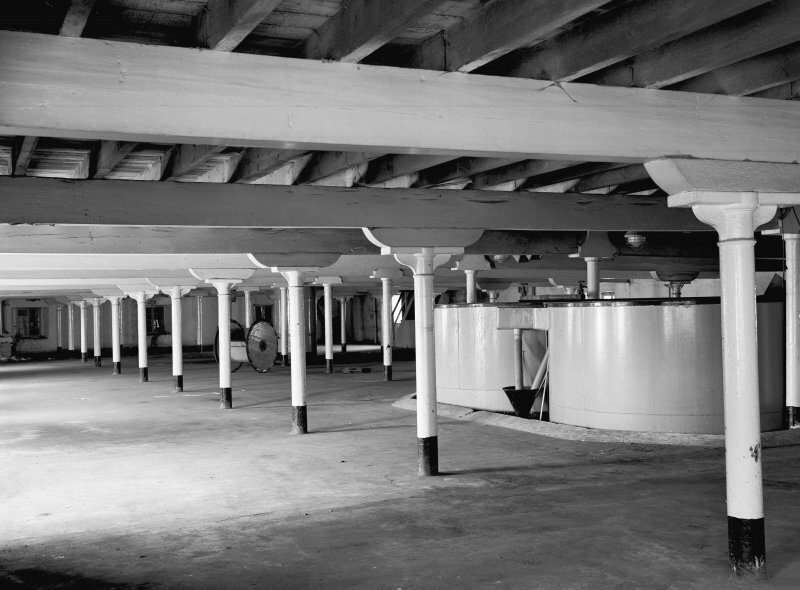 St Magdalene's Distillery interior. 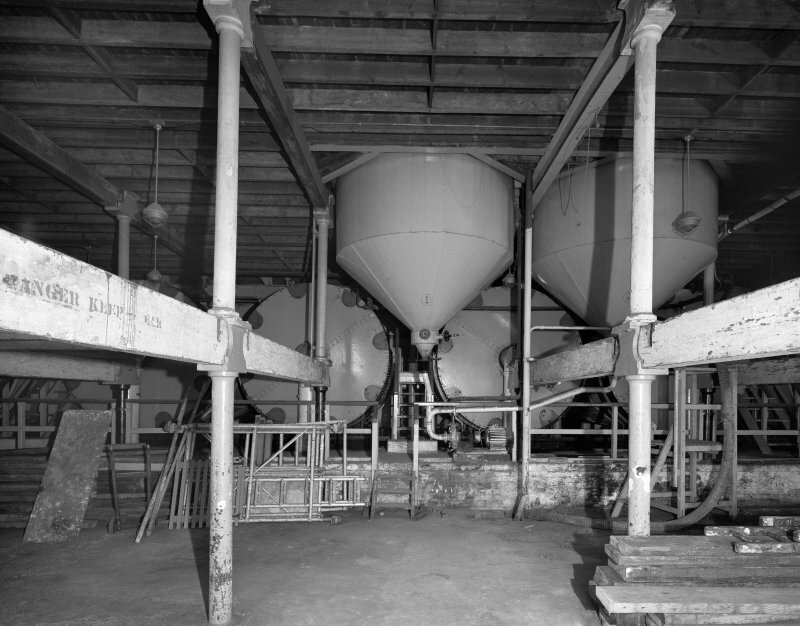 General view of ground floor of the drum maltings. 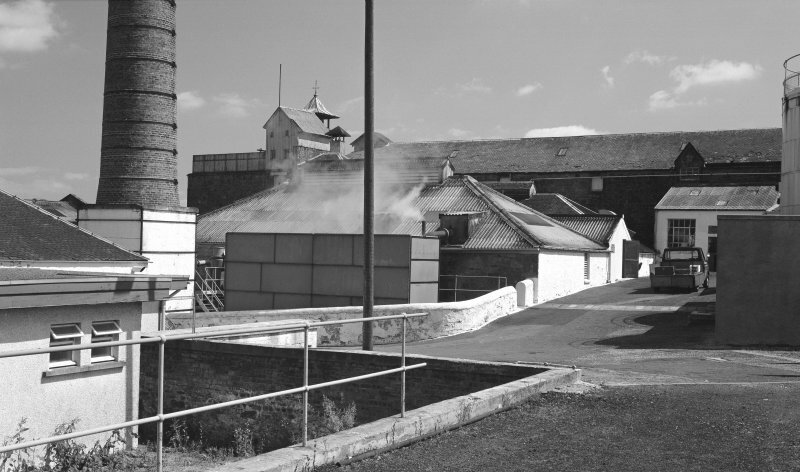 St Magdalene's Distillery, view from east. St Magdalene's Distillery, general view from W.
St Magdalene's Distilley, interior. View of drum maltings machinery. 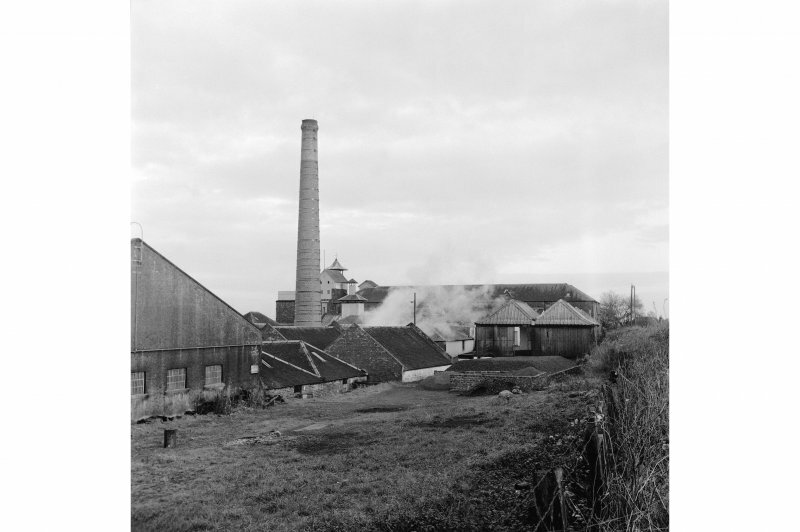 St Magdalene's Distillery, view from SE. 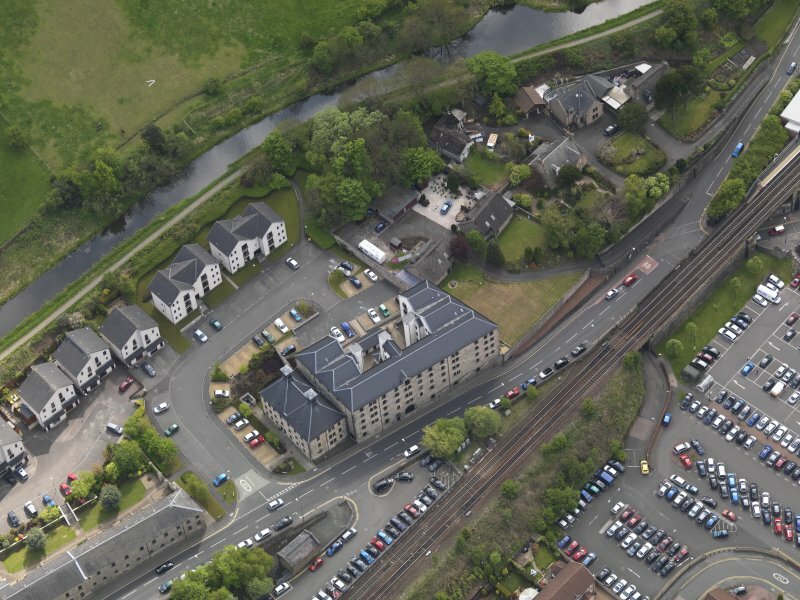 Oblique aerial view centred on the former distillery building, taken from the E.
Oblique aerial view centred on the former distillery building, taken from the NE. 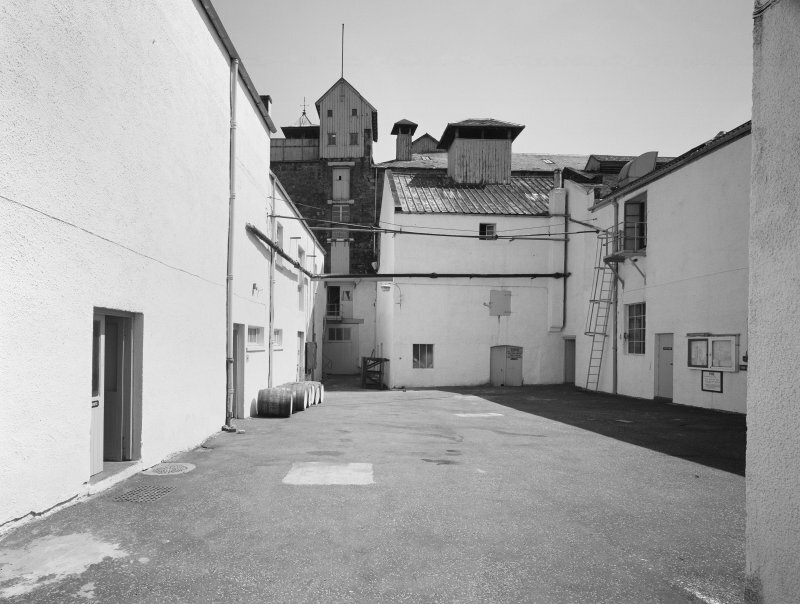 St Magdalene's Distillery, view of courtyard. 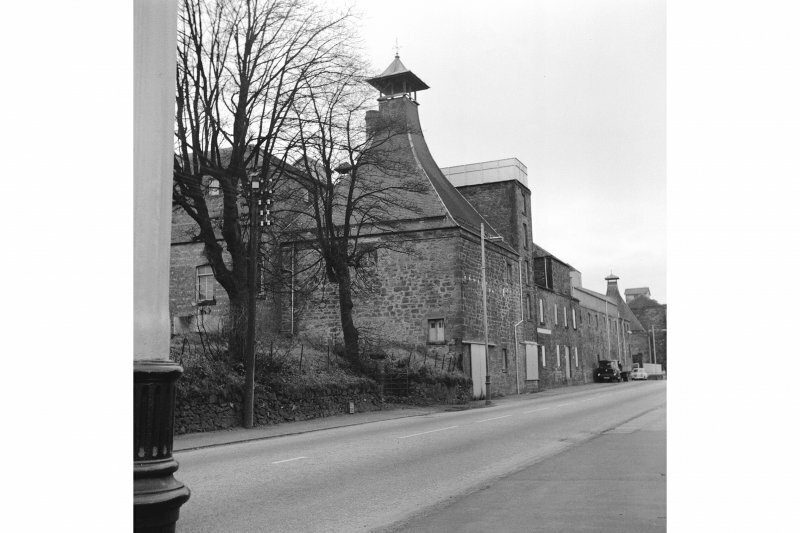 View of St Magdalene's Distillery, Linlithgow, from east. 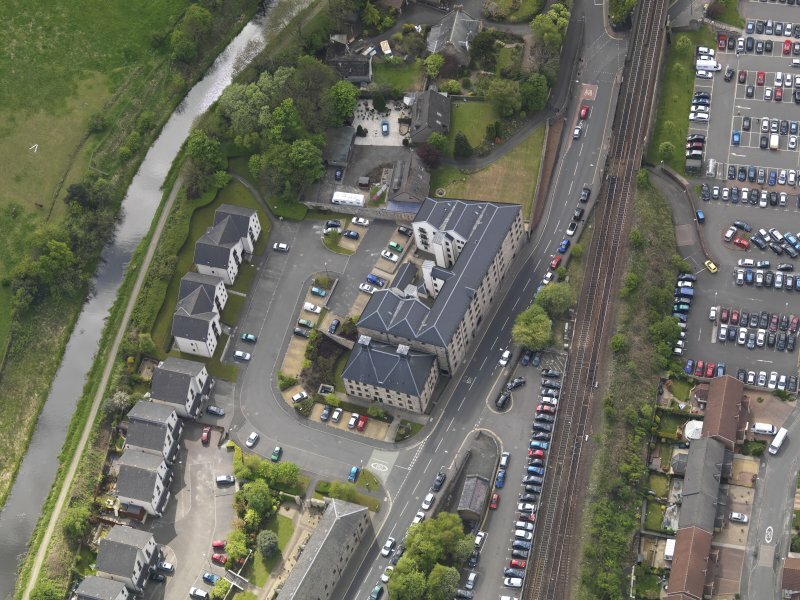 Oblique aerial view centred on the former distillery building, taken from the ENE. 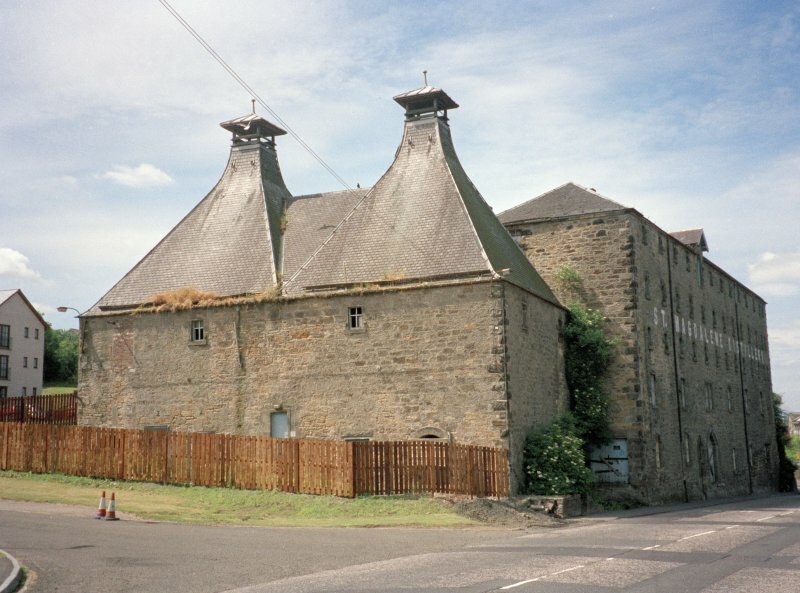 Taking its name from the vanished Hospital of St Mary Magdalene, the distillery consisted of two huge, stone malting-barns (one four-storey, one enclosing a courtyard) and three square kilns capped with pagoda ventilators. Eastern range refurbished with adjacent neo-Mackintosh terraced housing, 1990, by Cooper Design Associates and monumental western structure, 2002, by R & G Homes. 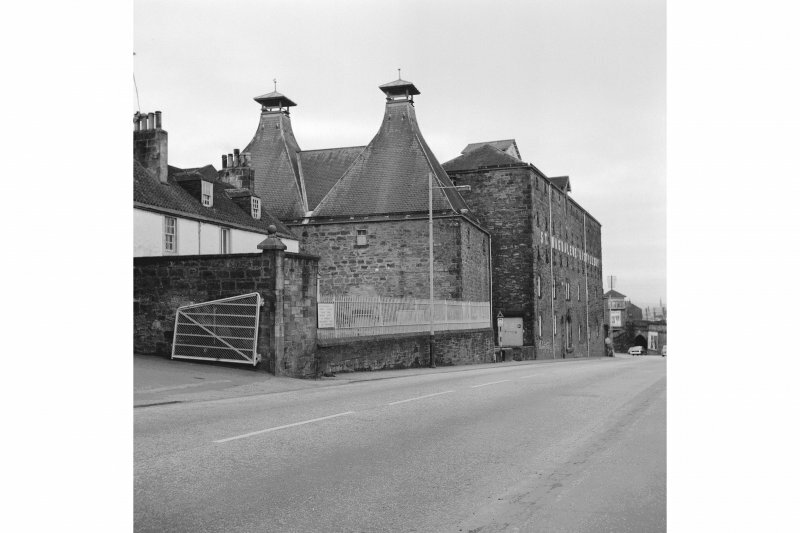 St Magdalene's Distillery: An extensive distillery at the E side of the town of Linlithgow, licensed to distill from malt only. 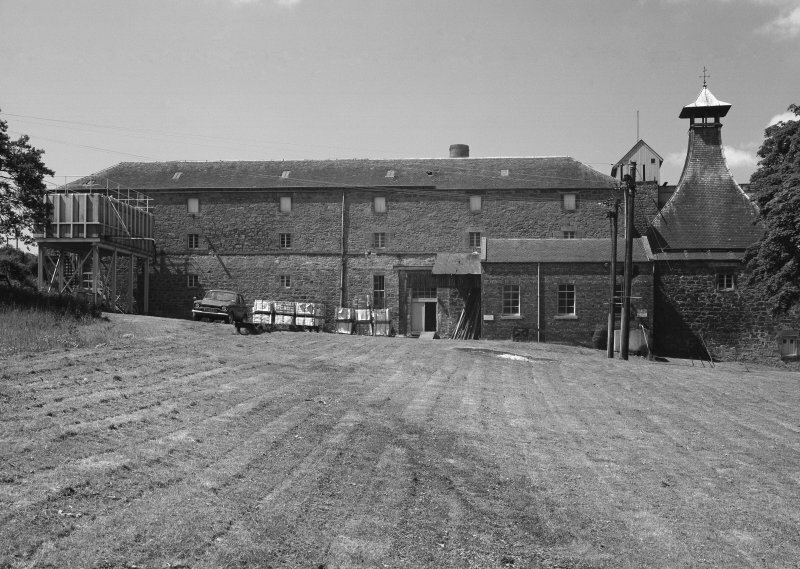 It consists of the usual works: maltings, kilns, still house, warehouses etc. (1st edition of the OS 6-inch map, Linlithgow sheet 3, 1857 names the individual buildings in the distillery.) 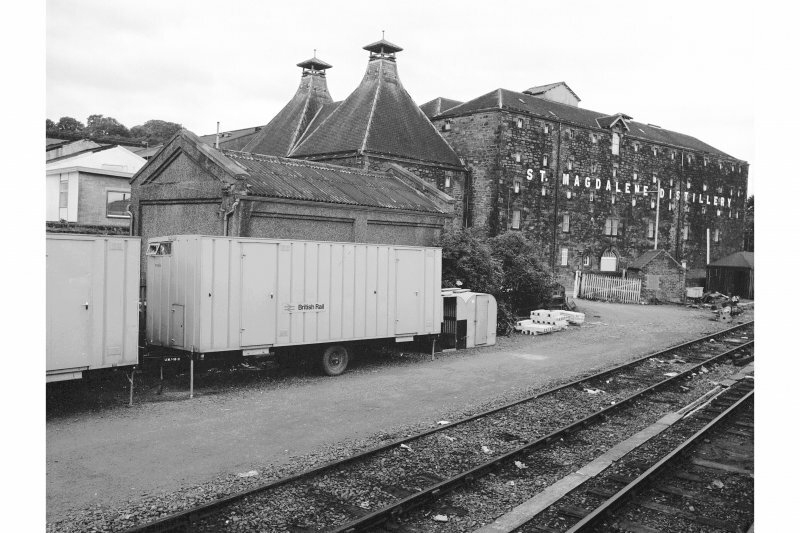 It was erected in 1824, and is capable of manufacturing, on average, 4,000 gallons of whisky weekly and gives emplyment to about 30 persons. It is the property of, and occupied by, Messrs Adam and John Dawson. Former 18th century, St Magdalene's Distillery, now partially converted into flats. Information from RCAHMS (DE) August 1996. 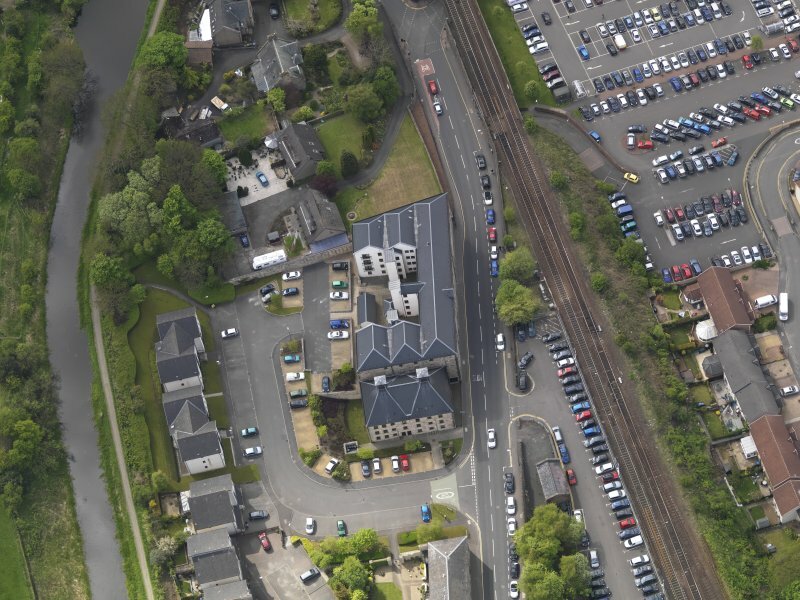 On the 2nd edition of the OS 6-inch map (Linlithgowshire 1897, sheet 5NE) there is a landing place marked close to the Distillery, which was presumably used by the Distillery. The presence of the canal also now endowed local industry with a new water supply. 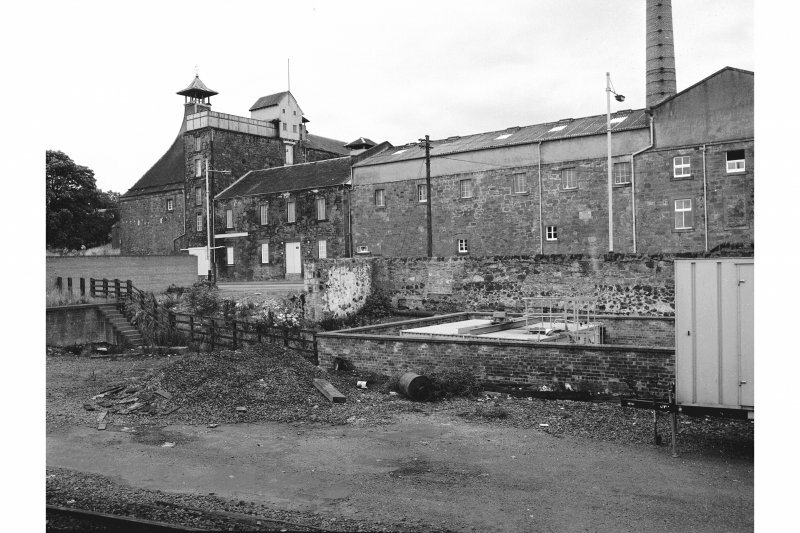 St Magdalene's Distillery figure 21, for example, an imposing group of buildings still standing on the site of the old cattle market, was in an ideal position to draw its cooling water (although not that used in the whisky itself) from the canal. 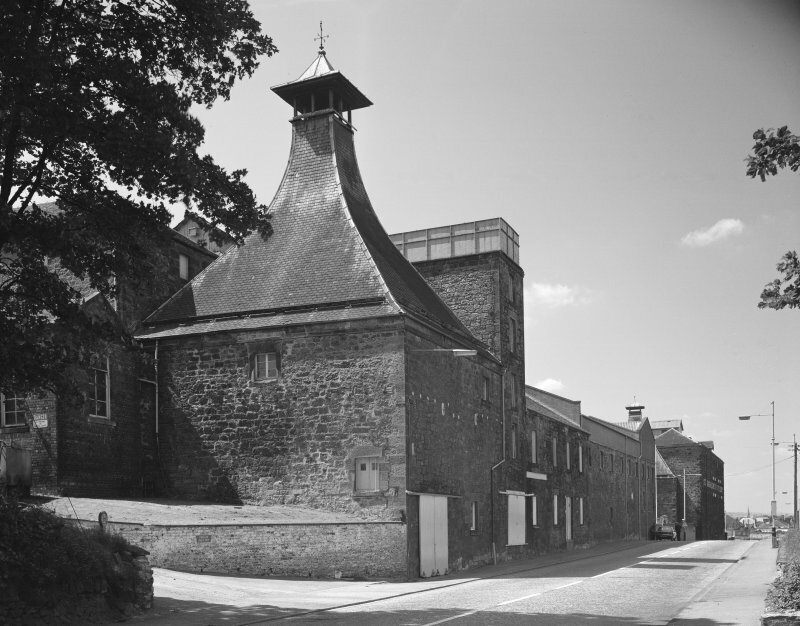 The distillery was built on the site of the Hospital of St Mary Magdalene, first mentioned in 1335. According to a charter of 1528, this was a hospital for the poor, with a chapel and cemetery, but it may even have been a leper hospital. 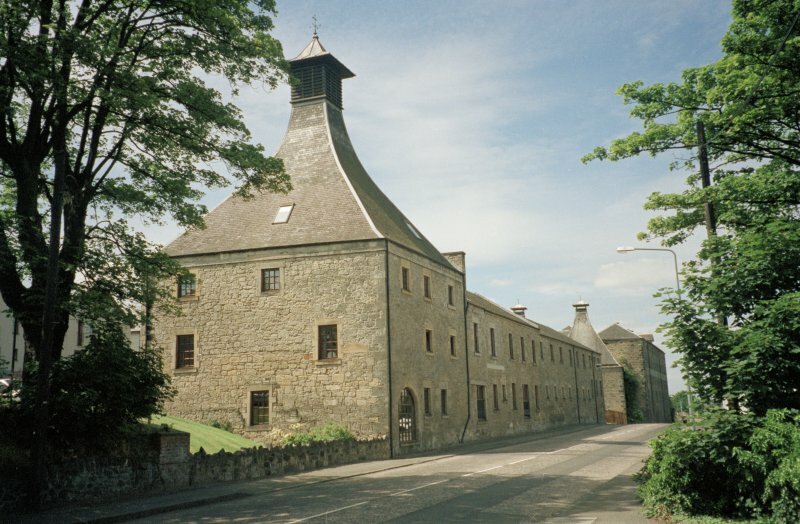 The site is now occupied by one of the warehouses of the distillery; it is unlikely to have survived the impact of such a building.